WHAT PC GAME ANNOUNCEMENT FROM E3 2017 HAS YOU HYPED? As we round the corner on our way out of another E3, it’s worth taking a look back and seeing what really stuck with us throughout the gigantic, announcement-filled gaming conference. Computers tend to take a back seat to consoles in the summer, but that doesn’t stop some big names from leaking through — here are some of our favorites, in no particular order. At the top of the list, Age of Empires: Definitive Edition snuck in at the end of PC Gaming Show. The remastered, re-engineered version brings updated graphics, better resolution scaling, and of course heavy doses of nostalgia. The updated version will make its appearance in the later part of 2017. 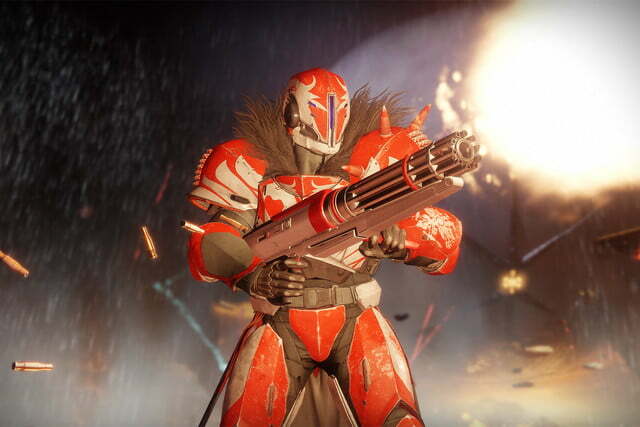 Next up, Bungie’s latest franchise is finally making the leap from console to computer with Destiny 2, and while PC gamers will have to wait a few weeks to actually play, it promises unlocked framerates, 21:9 and 4K support, and full keyboard and mouse integration. This MMOFPS looks gorgeous as ever, with a distinct art style and engaging social features to keep players talking and working together. Although you may not have heard of it until E3, Lone Echo is poised to strike at the heart of virtual reality with a story-fueled, zero gravity adventure on a futuristic space station. Its multiplayer component, Echo Arena, pits real players against each other in a high-flying, full-contact version of Ultimate Frisbee. Intel announced that the game would be free for all Oculus Rift users to claim for a limited time after its July 22nd release date. Finally, a unique Rogue-lite adventure from Devolver Digital makes our list for a unique take on the genre. The protagonist of Sword of Ditto attempts to cure the land of an evil force, but should they die, the world will collapse into darkness, and the player’s reincarnated spirit will have to try all over again. It’s always nice to see an indie game shine among titles with much bigger budgets. What PC title are you most excited for that was announced at E3 2017? Let us know in the poll above, or respond on Twitter and Facebook to let us know if something else caught your eye.